This trek brings you to the Langtang Valley surrounded by Himalayan Peaks. Langtang Lirung-7240 m and Ganesh Himal are the highest in the region. 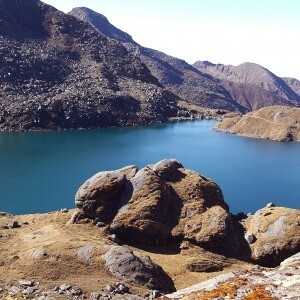 Trek to the sacred Lakes of Gosainkunda, climb the Gosainkunda pass into the Valley of Helambu. This circuit finishs in the Kathmandu valley a short distance from Kathmandu. Please note that the following program is prepared in the fact basis however can be change in some circumstances but adjustments will have to be made during the trekking. We request you to be flexible with the situation to enjoy yourself. As the trek is designed for camping arrangement, everything is handled by our team of porters, sherpas and cooks who carry the equipment, fix the camp and have hot meals waiting for you at every food break. This trek is ideal for people with less time who do not wish to travel too far from the Kathmandu Valley. Helambu is a lush region to the North of Kathmandu inhabited by Sherpas and Tamang people although the Sherpas of this region differ in their practices from their cousins in the Everest region. The trek passes through some beautiful forests and very interesting villages on route. Today is rest day at Kyanjin Gompa and you can choose whatever you want to do or hike up to hill top at Tserku Ri of 5,033m high. 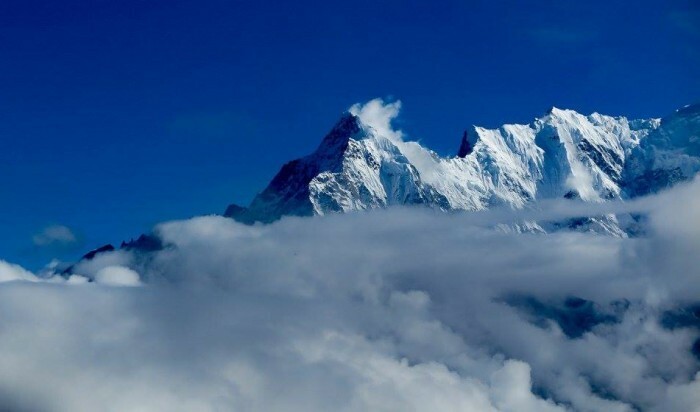 The climb to Tserku Ri leads to a steep climb offering glorious mountain views of central Himalayan range. Afternoon at leisure to enjoy rest with panorama of Chimsedang Lekh, Kangjal Himal, a ridge of peaks bordering the valley to the south, Naya Kanga 5,844m, super views of great mountains dominating Langtang valley, includes Ganchenpo 6,387m, Dorje Lakpa 6,990 m, Pemthang Karpo Ri 6,830m, Langtang Lirung 7,245m and across the northern boundary in Tibet rises the huge massive Shishapangma 8,046 m the last worlds 14th highest mountain. We will start early morning with breakfast and then taking an exciting drive which leads uphill to Dhunche town, and then on winding downhill road reaching around warmer areas of Trishuli Bazaar where will stop for lunch and then continue with drive to Kathmandu, after wonderful trekking checking into respective hotels, join in for farewell group dinner in a nice restaurant around Thamel area overnight stay in Kathmandu.